Snacking: One may not even eat a snack prior to hearing Megillah at night [and by day] [unless it is a case of great need, as will be explained]. Drinking: From the letter of the law, seemingly it is permitted to drink at least water, and if needed even coffee and tea, prior to Megillah reading of both night and day. Nevertheless, it is an act of piety to fast until after one hears the Megillah reading, just like it is an act of piety to fast prior to hearing the Shofar blowing on Rosh Hashanah and shaking the Lulav on Sukkos. 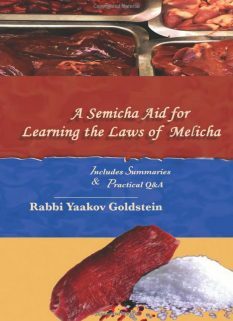 Time of need: In a time of great need [such as one who feels very weak due to the fast or one who is sick] one may eat a small snack prior to hearing the Megillah reading. The definition of a snack is up to 57.6 grams of bread [or Mezonos] and 57.6 grams worth of an [alcoholic] beverage. [Such a person may drink an unlimited amount of other liquids, such as water, tea, and coffee, and eat an unlimited amount of fruits.] If the above amount does not suffice, and the delay of a proper meal can possibly damage his health, then he may be lenient to eat even more than the above amount, so long as he appoints a person to remind him to read or hear the Megillah. 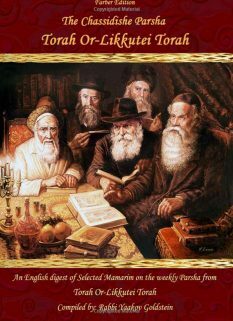 Past midday by day reading: If one will not be able to hear Megillah prior to midday, he is to eat a snack and drink beforehand, as it is forbidden to fast on Purim past midday. From the letter of the law, it is forbidden to eat even a mere snack prior to hearing the Megillah reading both at night and by day. Although there is room to permit drinking before Megillah reading, it is customary amongst many to fast until after the reading. In a time of great need, one may eat a snack prior to the reading of both night and day, which does not consist of more than 57 grams of Mezonos or Hamotzi foods. If one will not hear Megillah until past midday, then one must eat [a snack] and drink beforehand. May women eat prior to hearing Megillah? No. The above law applies equally to both men and women. This applies by both night and day. However, if she feels weak and the continued fast could damage her health, such as nursing or pregnant women, then she may eat a regular meal prior to the Megillah reading. Nonetheless, she is to set up a Shomer to remind her to hear Megillah. During the day, if a woman will be unable to hear Megillah until midday, she is to eat a snack beforehand, as stated above. In Jerusalem, until when may they eat on Erev Purim [the 14th]? If one began a meal on Erev Purim must he stop eating when nighttime arrives? Ø Example: In Jerusalem one had a meal towards the late afternoon of the 14th, must he stop eating when night arrives? Purim fell on Motzei Shabbos, must one stop eating Shalosh Seudos when nighttime arrives? Ø One was Halachically not required to fast and began his meal near sunset of the 13th, must he end his meal when nighttime arrives? The law: If one began his meal with bread prior to sunset he is not required to stop eating when sunset arrives. [However, one is required to stop to join the communal Megillah reading.] Regarding whether he is to say Al Hanissim, see previous Halacha 4D! If one who plans to celebrate Purim on the 15th in Jerusalem, is participating in a meal on the 14th outside of Jerusalem, must he stop eating when sunset arrives? 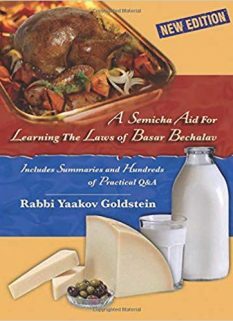 Michaber ibid; Terumos Hadeshen ibid; See M”A 692:7 in name of Beis Yosef and Orchos Chaim that the custom was to read the Megillah during daytime, after Plag, in order to allow the weak and pregnant women to eat right away. The reason: See previous footnote. This is similar to the custom that even those that eat before Davening do not eat prior to reciting Shema. Implication of Terumas Hadeshen, M”A and Poskim ibid who write the reason behind the prohibition is due to the severity of Megillah reading, and since the main reading is by day, certainly this snacking prohibition applies likewise by daytime. See Kitzur SHU”A 141:8 regarding the allowance to drink coffee after the fast; We do not find in the Poskim an explicit prohibition against drinking and that one must fast until he hears Megillah; See Darkei Chaim Veshalom 716 that one may drink tea or coffee before Shofar and that so is the custom of some of Anash [Rav Zalmin Shimon Dworkin ruled one may drink before Shofar, and so ruled to me Rav Avraham Osdaba, as well as Rav Tuvia Bloy.] However, see Misgeres Hashulchan 141:6 who limits this ruling of the Kitzur SHU”A to a case of great need, and seemingly he is likewise referring to drinking coffee. See Rokeach Hagadol 353, brought in Alef Lamagen 581:81 and 588:2, and so is custom of many of Anash. See Chapter 4 Halacha 1D that nursing and pregnant women are exempt from fasting all together. Seemingly one should be forbidden to begin a meal or eat starting from a half hour before nightfall, irrelevant of the time of sunset, [as rules Michaber 235:2 regarding Maariv, 232:2 regarding mincha, and Admur 70:5 regarding Shacharis]. Hence in Israel that there is only about 20 minutes before sunset and nightfall, the prohibition should begin starting from ten minutes before sunset. Veztaruch Iyun on the Kaf Hachaim ibid which simply writes sunset. In 70:5 Admur rules that if one began a meal prior to thirty minutes before Alos then he is not required to stop his meal even to say Shema [although practically he is stringent regarding Shacharis due to an external reason]. This ruling is repeated in Michaber 232:2 regarding Mincha; In 235:2 regarding Maariv. In 188:17 Admur discusses the law regarding one that had a meal on Erev Shabbos and Erev Rosh Chodesh and finished his meal after night, does he say Yaleh Veyavo or Ritzei. He then concludes “and so is the law regarding Purim and Chanukah”. Thus we clearly see that if one started a meal before Purim he is not required to end his meal when Purim begins and thus he is even to say Al Hanissim if he ate a Kezayis into the night as explained there. 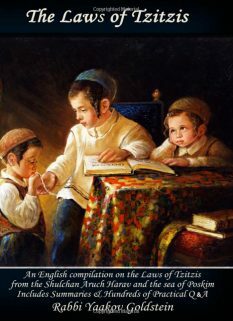 Chumra of the Rokeaich: The Rokeiach writes that the custom of the Chassidim Harishonim was to fast until one performs a Mitzvah that comes from time to time. [Rokeiach Eirusin Unisuin p. 239] Perhaps based on these words one is not to eat past sunset until he hears Megillah, irrelevant of the above discussion brought in Poskim ibid. In truth however one can say this only applies by a Mitzvah done by day, as it is considered a fast since he will not eat the entire day until he does the Mitzvah. However here since one already ate before sunset, what would be the purpose of now fasting. Vetzaruch Iyun. If however he did not eat bread then he must stop eating thirty minutes before nightfall. See previous Q&A! 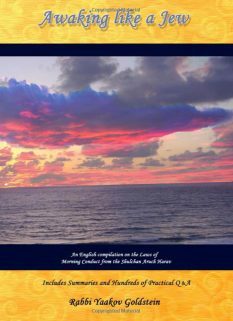 Kaf Hachaim 692:35 writes one may eat until sunset, however seemingly one may not eat within 30 minutes before nightfall even if it is prior to sunset, as explained in Q&A above in footnotes.